Out in the garden at 7 ish in dressing gown and boots. Ice crystals on every bud and branch. It looked stunning, but the birds had no water and some frost covers had blown off in the hailstorms yesterday. I know you shouldn’t plant tender plants where they are vulnerable, but the camellia given to us in memory of EGs dad is covered in fat buds. We’ve had plenty of sun today plus some flakes of snow. The buds and leaves on the blue clematis on the fence are blackened and limp, but the one on the house as survived. 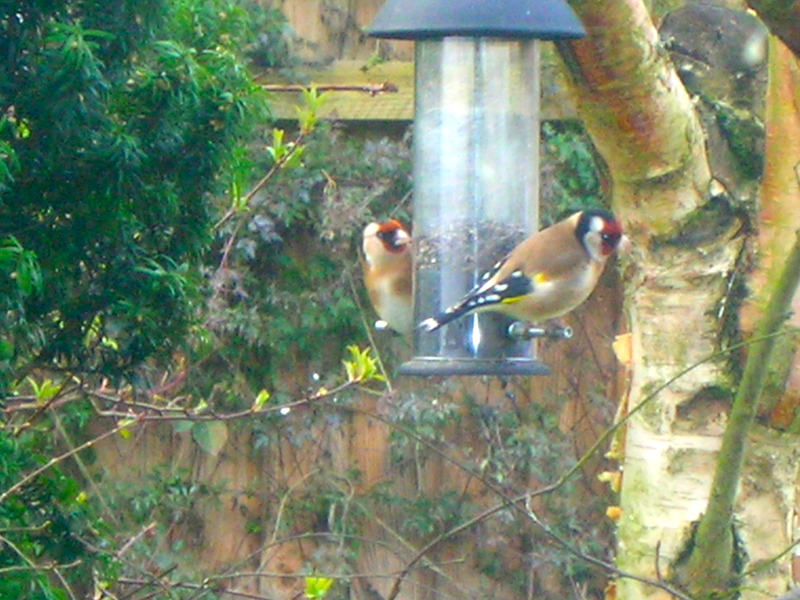 Goldfinches visiting and below that the newcomer – a siskin. We now have another estimate for the drive, not as expensive but lower spec than the first and either way to do the whole job will cost more than we are willing to pay. A compromise on doing half the drive (where the old lifting concrete slabs lie) looks like being the answer. We are lucky to be able to do it at all. 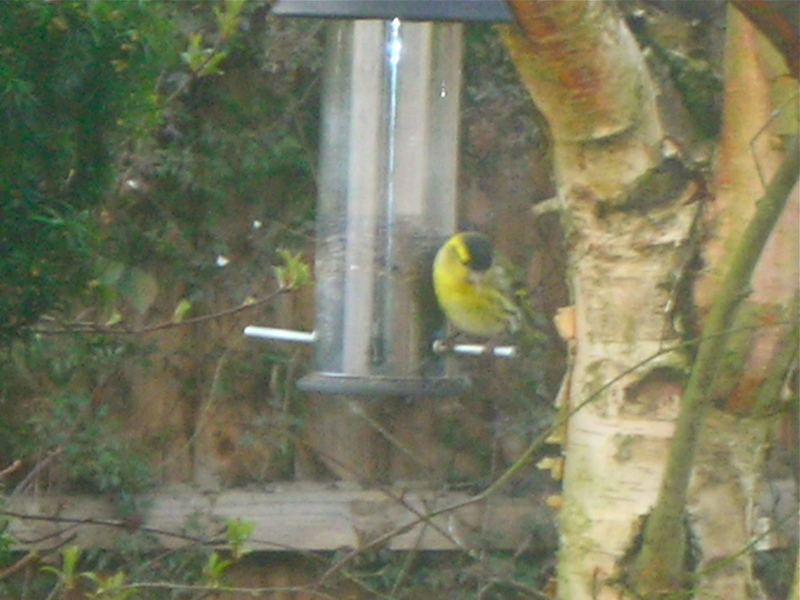 This entry was posted in Gardens and tagged goldfinch, price of new drive, siskin by hilarycustancegreen. Bookmark the permalink.